My trusty preamp/processor since 1999 is the Proceed AVP. Madrigal has just annouced an upgrade - count me in! My Center Speaker like almost all my speakers is a DIY project. 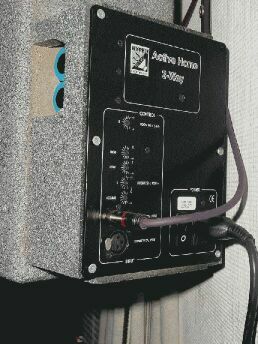 The 60 liter box contains a Hypex 3 way amplifer with 4th order active X-overs at 300 and 3.000 Hz. 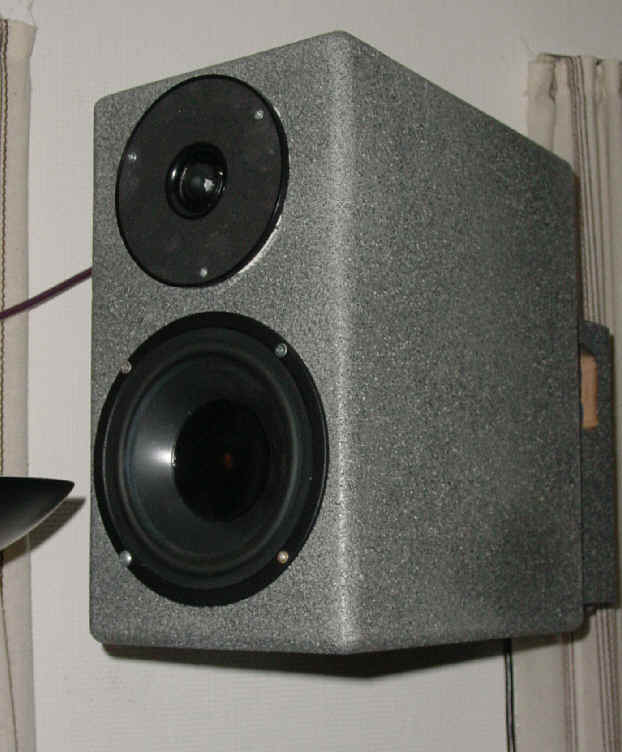 The 3 x 60 Watts drives 2 Seas Excel W21EX-001 8" woofers and in the midrange the same Focal 6W Utopia that I use in my DELTA dipoles. The tweeter is a 1" titanium dome DT 25 TI from Monacor. As you see the screen reaches the top of the center when in use. Sorry about the cable-mess!. The 2 surround speakers are active each using a Hypex 2-way amplifier module. 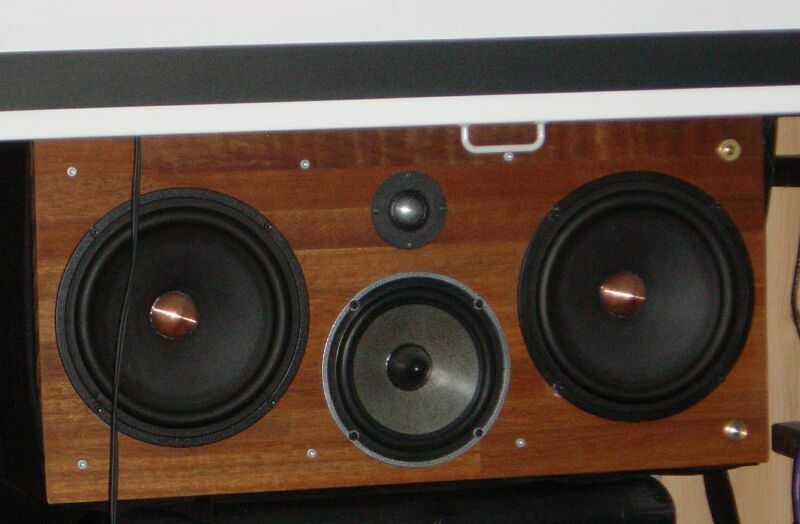 The 2 x 60 Watts drives a Peerless 6,5" woofer and a Monacor 1" dome. 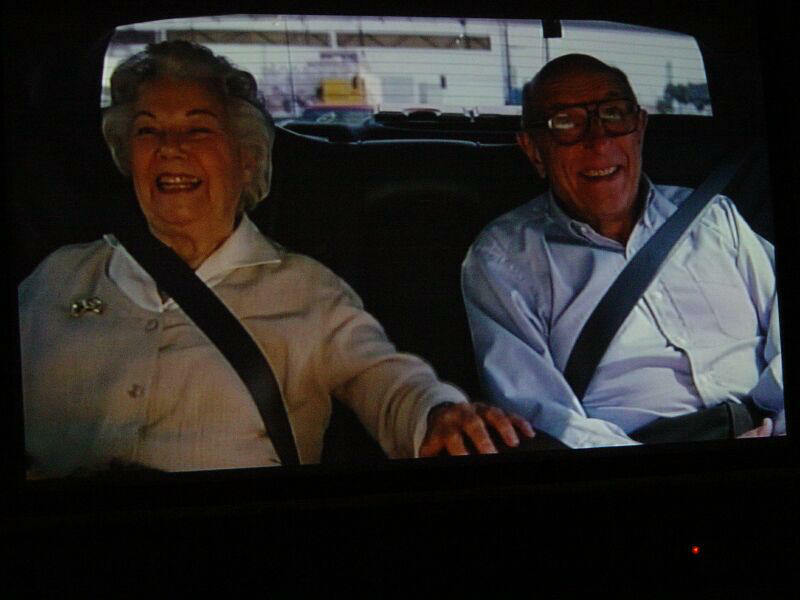 Picture: Sanyo Z2 projector - Not the best, but OK and quite a lot better than my old Sony..
DVD players: Pioneer DV 939a w./DVD-Audio and my old Pioneer DVL 909 which also plays my Laser Discs.